Wallace Chevrolet > Android Auto > 2017 Chevrolet Trax – All You Wanted to Know! 2017 Chevrolet Trax – All You Wanted to Know! 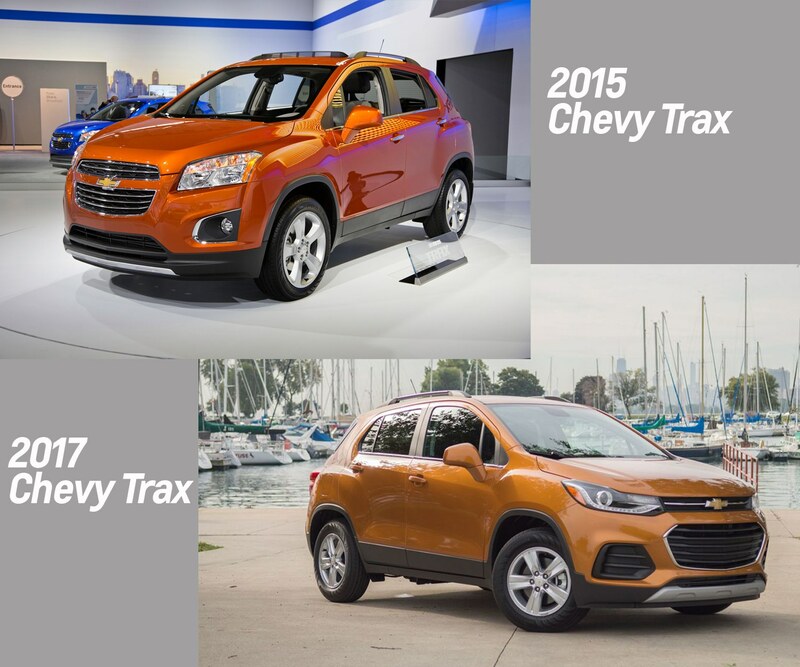 Up front you’ll find a fresher more modern looking Trax, with a host of upgrades that completely change the front. Chevrolet shrunk the grill while restyling and enlarging the headlights, giving it a fresh modern look. It now wears a new dual-port grill, new headlamps that flow nicely around the front fenders, a restyled hood and a revised front bumper. LT & Premiere models feature halogen projectore lamps w/LED signature lighting and chrome accents around the fog lamps. All in all it’s a sharp new look! Chevrolet also took the knife to the back of the Trax, fitting it with a re-sculpted rear fascia and new tailllamps that feature LED signature lighting on Premiere models. 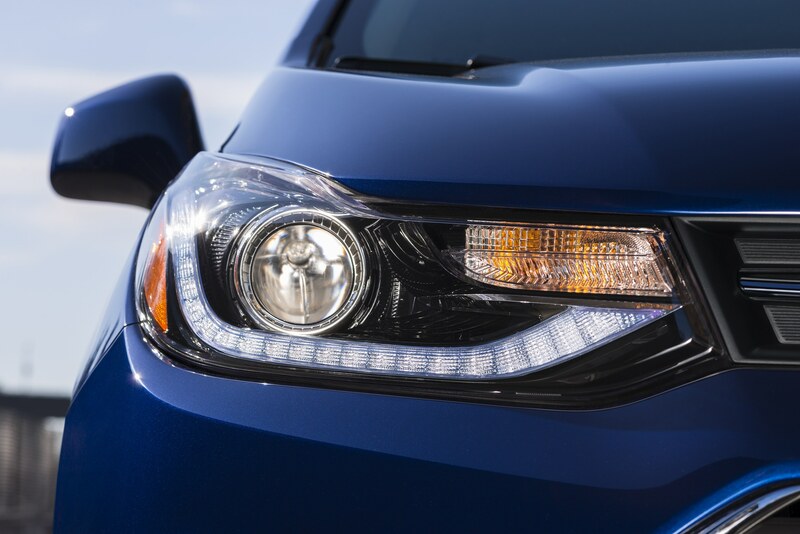 While it’s not a drastic departure the new lights suit Trax well, and help breathe fresh life into Chevrolet’s second most-popular SUV (behind Equinox). Beyond numerous exterior changes the new Trax also sports a heavily revised interior that’s bound to impress. 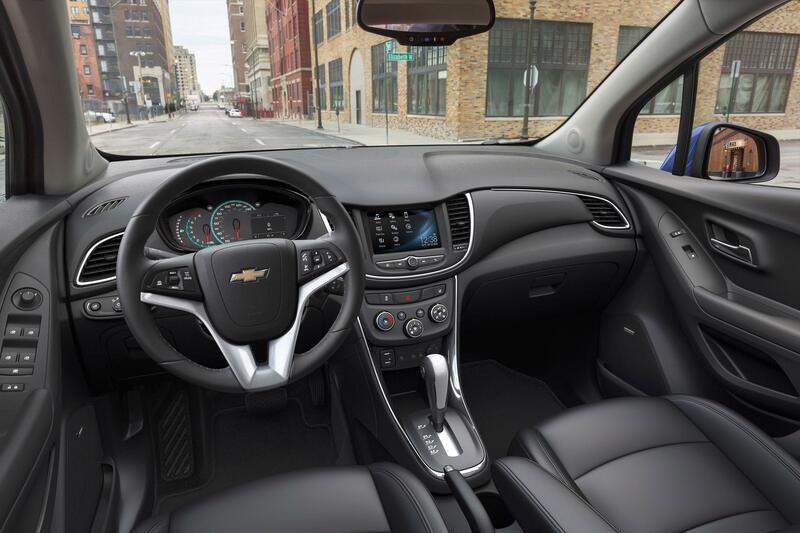 Step inside and you’ll notice the 2017 Chevrolet Trax’ new, standard 7-inch MyLink touchscreen infotainment system, which provides a much cleaner look and more modern feel. Plus, all models get the latest connectivy features thanks to standard technology like Apple CarPlay and Android Auto. Both systems provide seamless phone integration that use your standard phone charging cable to project many of your favourite apps onto the touchscreen, where many of the features can be used via voice control using steering wheel mounted buttons or a Siri-esque home button. Elsewhere you’ll find a sleek, new revised instrument binnacle with new gauges and driver information centre, and a new instrument panel with chrome trim. And finally, last but not least, every single Trax now features a standard rear view camera system! Now you’ll park like a pro every time thanks a crystal clear camera with water-wicking technology. Chalk it up to the handsome new face, standard 7-inch Mylink touchscreen and rearview camera, revised interior or Apple CarPlay and Android Auto, but we’d be hard pressed not to call this the best Trax yet! What do you think of the 2017 Chevrolet Trax? Do you like the new look? How do you think it compares? We want to hear from you in the comments below!